Iran has loaded a ship with more missiles for Hamas in Gaza. Israel: We will destroy any attempt to smuggle weapons. Iran has loaded a ship with new missiles to replace those destroyed by Israel in Operation Pillar of Defense, the London Sunday Times reported. An Israeli official said that Israel will destroy the missiles, regardless of the ceasefire, if Hamas tries to smuggle them in, apparently via Sudan and Egypt. Israel has been held responsible more than once for the bombings of weapon factories and smuggling operations in and from Sudan. 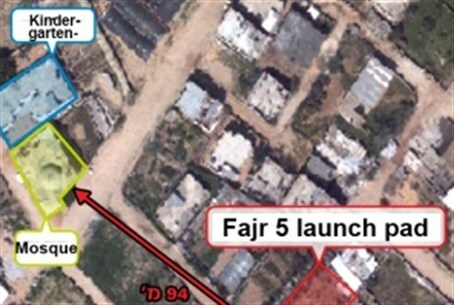 The missiles are presumed to be the Fajr-5 rockets that Hamas fired on metropolitan Tel Aviv. Israel said it destroyed most of Hamas’ stockpile of the medium-range missile. Hamas went to work immediately after the ceasefire to restore smuggling tunnels that the Israeli Air Force destroyed in the eight-day Pillar of Defense counterterrorist operation.